Finland higher education is best in the world as per the latest Universitas 21 Rankings. 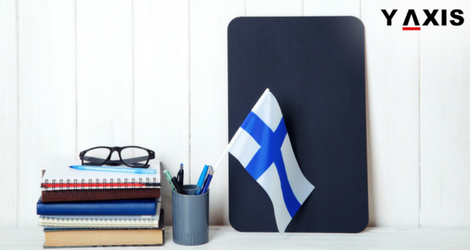 There are several reasons why overseas students should opt to study in Finland. The chief amongst them is the higher education system of the nation that is of world-class standards. U21 rankings have revealed that US education system remains on the top in overall performance. On the other hand, the real victor is Finland when the rankings are adjusted to measure each nation relative to national income levels. Finland is at the top when rankings are adjusted to account for per capita GDP. It is ahead of the conventional favorites for higher education globally, the UK and the US, as quoted by the Study International. The strengths and weaknesses of the individual institutions were assessed by the U21 rankings initially. But the measurement of the best higher education system was unsatisfactory. The rankings were then reassigned to take in to account the economic standing of the nations. The earlier version of the rankings naturally features nations with high incomes and expenditures. This includes the favorites such as the UK, the US, and Switzerland. Nevertheless, the flow of cash into the higher education system of a nation plays a crucial role in the universities quality. The U21 responded by creating a fresh amended ranking that accounted for the GDP per capita. The fresh rankings revealed that higher education system of several nations was thriving when compared with nations with similar per capita GDP levels. Ross Williams the Professor at Melbourne Institute said that research excellence can be explained in quite simple terms. Nearly, 90% of nation variances in research are explained by expenditure in research, he added. Study in Finland? Contact Y-Axis, a trusted international educational consultants that assists you in admission application process. If you are looking to Work, Visit, Invest, migrate to Finland, talk to Y-Axis, the World’s No.1 Immigration & Visa Company.